Sunsets in New York City. Manhattanhenge. New York City. Chrysler Building. 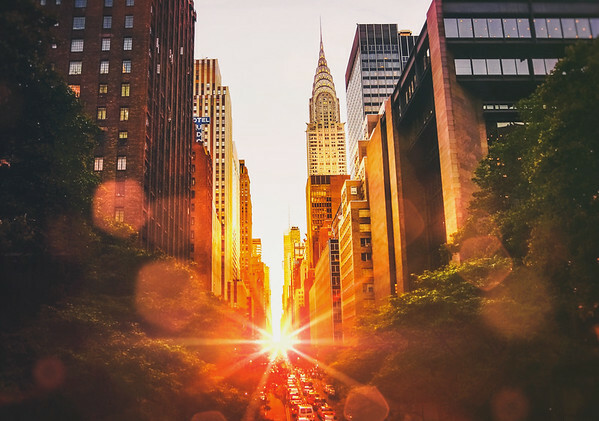 A magical take on Manhattanhenge which is a time in Manhattan when the sun sets with the New York City street grid. This was taken at Tudor City Place overlooking 42nd Street and the Chrysler Building. With bokeh.